Healthy guacamole is a fantastic summer accompaniment to chicken, steak or fajitas. 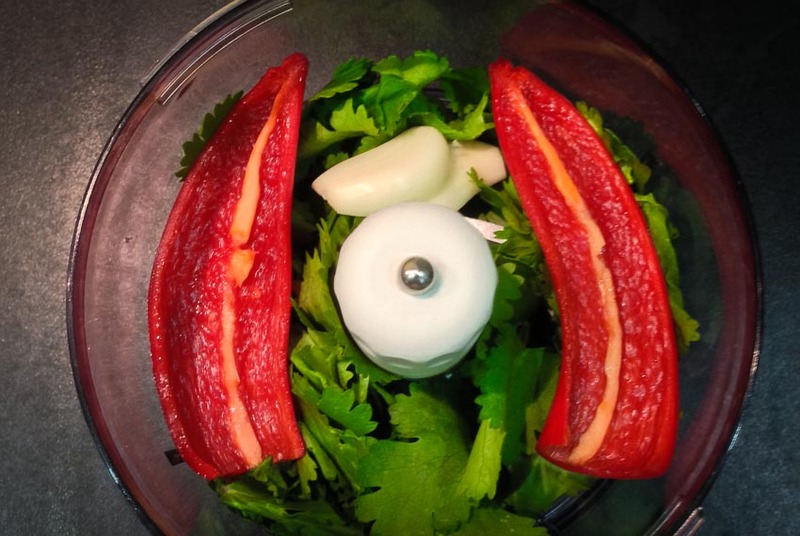 Sauces are usually a no-no on a strict fitness/bodybuilding diet, but this healthy guacamole recipe is an exception to that rule – it’s delicious and healthy! Shop bought guacamole is almost always loaded with salt, bad fats (from vegetable oil) and tons of preservatives. 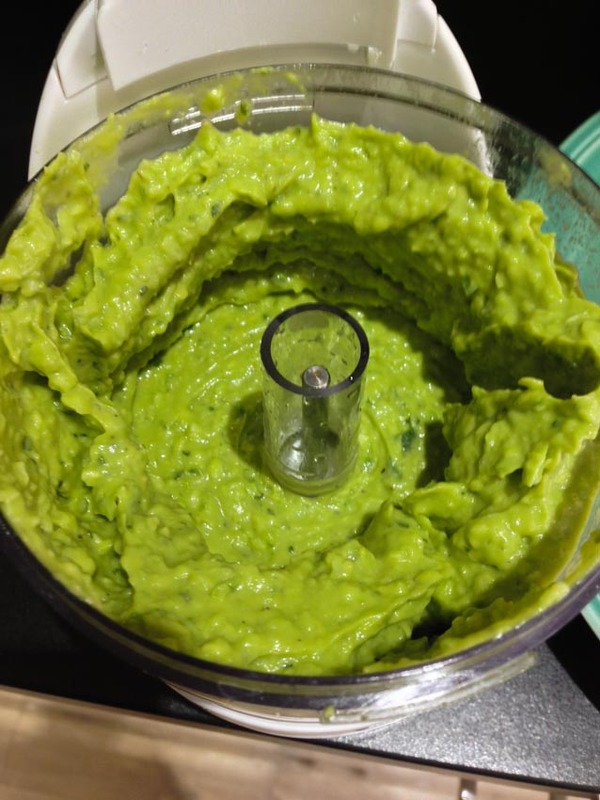 This quick and easy homemade guacamole recipe can be rustled up in under 5 minutes! It contains only good fats from the avocado and olive oil, plus some essential vitamins from the lime and chilli. 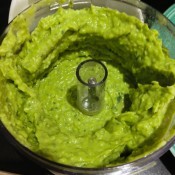 If you like our healthy guacamole recipe, be sure to share your food pictures with us via our Twitter or Facebook. 1. 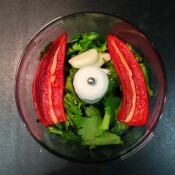 Cut the onion half into quarters, peel the garlic clove and deseed the chilli. Cut the avocado in half and remove the stone. Tip for safely removing the stone: rest the avocado on a chopping board and strike the stone with the flat of a sharp knife. It should sink in and you can then just twist the stone out of the avocado. 2. 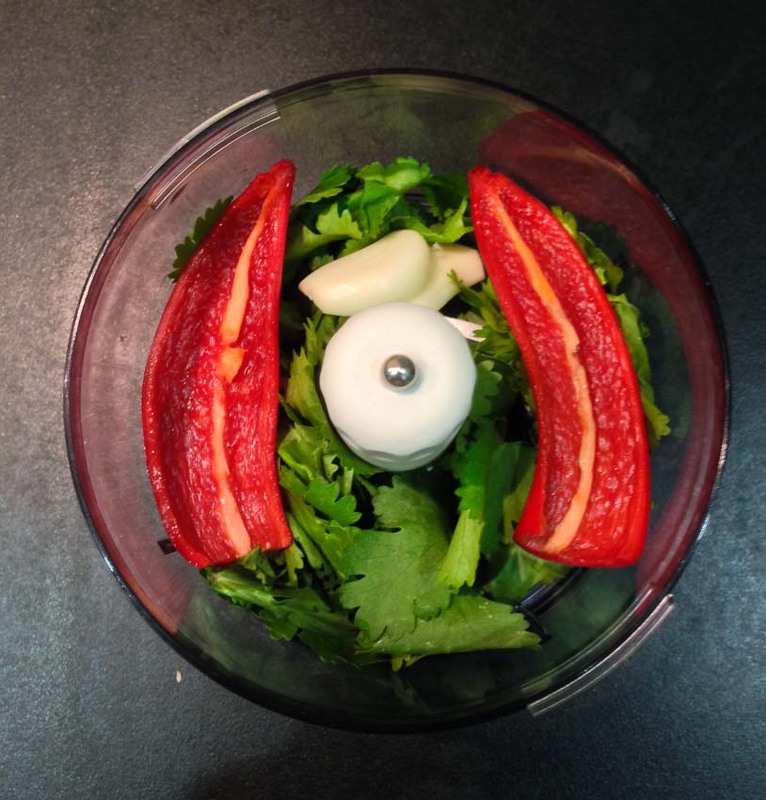 Throw all of these ingredients, along with the olive oil and coriander, into a food processor. 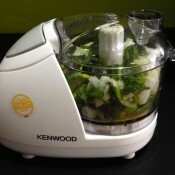 A mini food processor works well if you have one. If you prefer it a bit chunky, make sure you don’t it mix for too long. 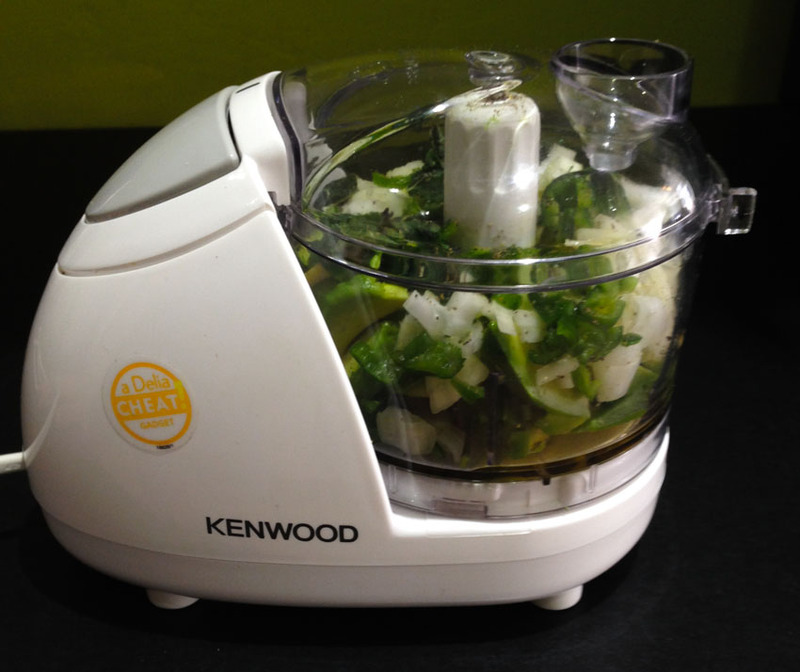 Tip: If you don’t have a food processor, you can finely chop everything and mash it together with a fork. 3. 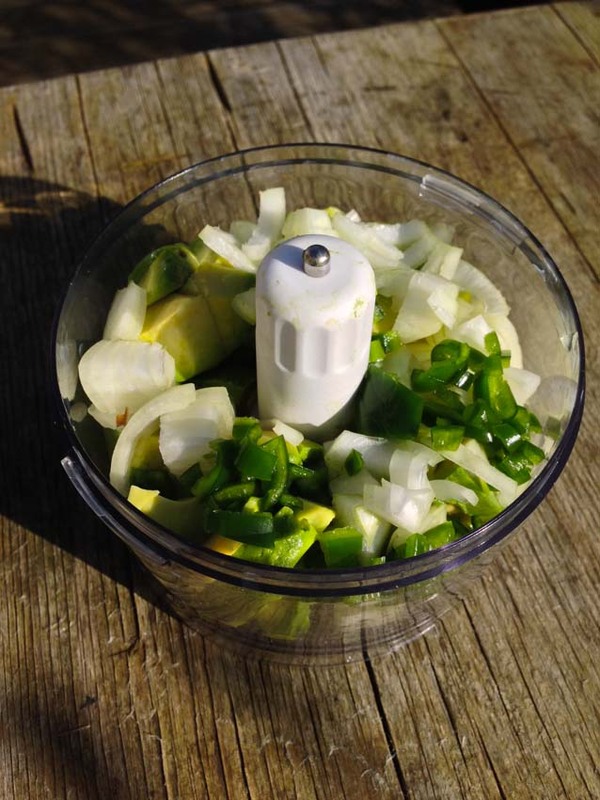 Once you’ve reached your desired consistency, season with salt & pepper, and squeeze in some lime juice. 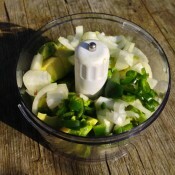 Give it another mix and taste it, adding more seasoning or lime if necessary. 4. Enjoy with chicken, beef, or our healthy homemade chips.